Date: 25th November 2018. Classes start at 9 am and conclude at 4 pm. 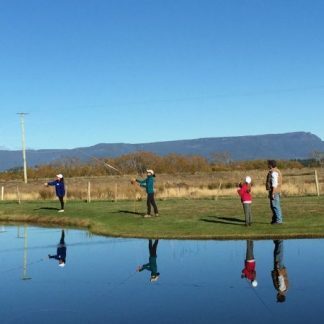 This one day class is tailored to fly fishers that have previously participated in our beginners class as well as to fly fishers of of some experience. In this class you will have your casting stroke improved and refined as well as learning many new casting techniques. There is also much discussion on higher level fishing methods/tackle etc. Enjoy the camaraderie of like-minded people for a day. Be inspired, entertained and educated such that your future fishing success and enjoyment will be guaranteed. Detailed course notes, memory joggers and focussed practice drills will add to the experience. A refund of the deposit is only payable if the place is filled by someone else.